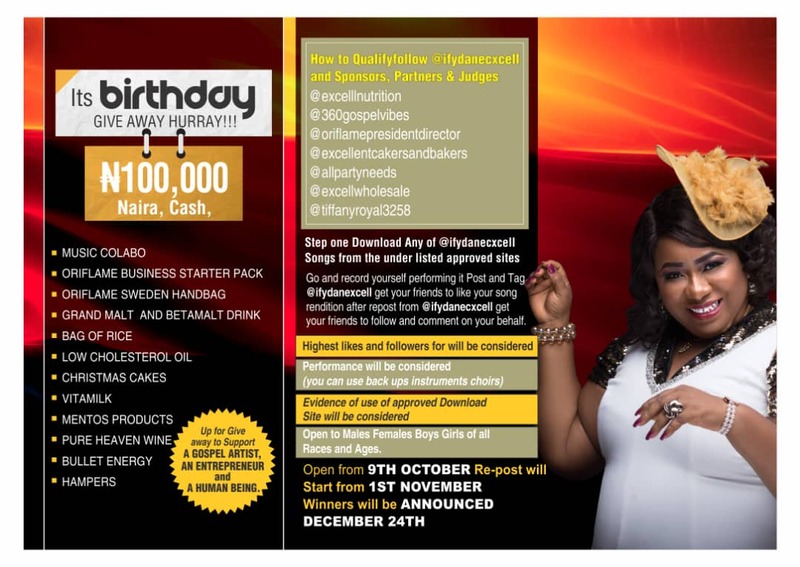 Amazing Gospel music minister Ify Dan Excell in celebration of her birthday, is giving out a whooping sum of #100,000 [One Hundred Thousand Naira] and a lot of freebies. * Evidence of use of Approved Download sites would be seriously considered. * This opportunity is opened to both Males, Females, Boys and Girls of all Ages and Race. The Challenge opens from 9th October, Re-post will start from 1st November, while winners would be announced on the 24th of December 2018. 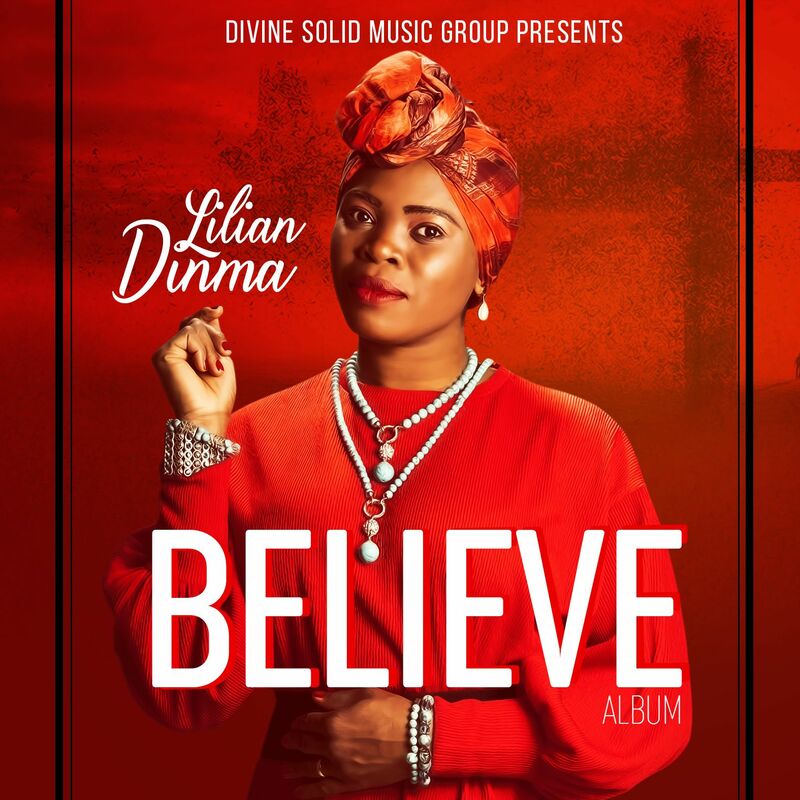 Lilian Dinma Announces New Album – Believe. 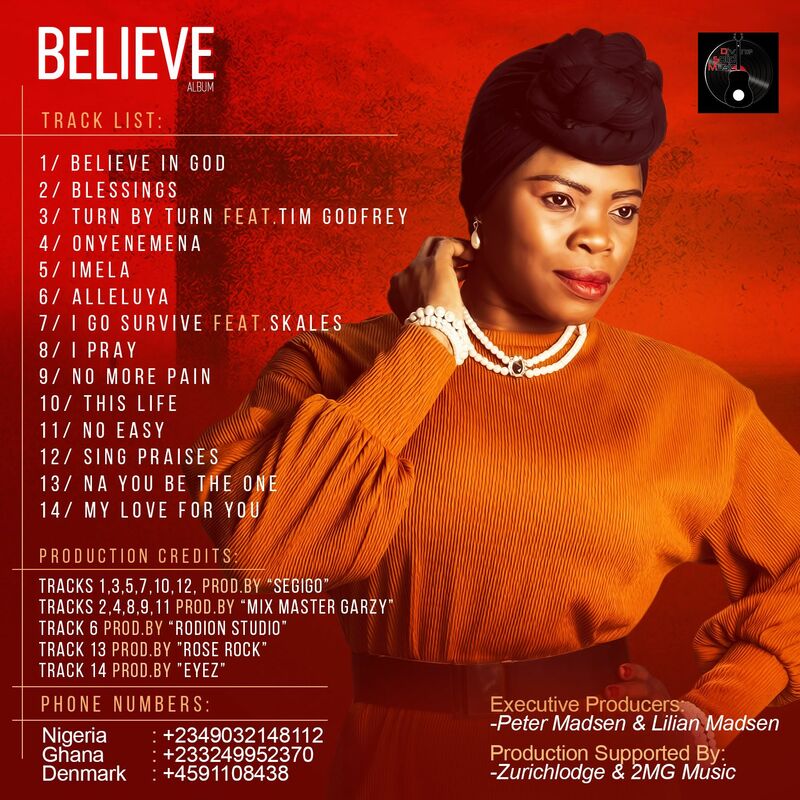 Nigeria born Europe based contemporary and Afro Gospel singer Lilian Dinma who made her come back into the Nigeria Music industry since 2015 has announced the release of her sophomore album titled BELIEVE. Lilian Dinma’s kind of music is to inspire, encourage and to motivate both young and old, give hope to the hopeless and voice to the voiceless. Her vocals illustrate the spiritual truth that every brethren who calls the name of God should “BELIEVE” in Him no matter what situation they find themselves. Lilian has been dishing out amazing songs off the album for years now, some of which are Believe in God, Imela, Onyenemema, I Go Survive and lots more. The album also featured award-winning artistes Skales and Tim Godfrey. “BELIEVE” the album is a melodious Afro Gospel songs that are guaranteed to catch the attention of every listener. Be inspired, be motivated and above all “BELIEVE”. Happy Birthday to Lilian Dinma as she commemorates her birthday with this album released. Stream to Download “BELIEVE” the album and drop your comment on the comment box. Multiple award winning gospel artiste, Song writer, and Music Director, Tim Godfrey has announced that his 5th Studio Album titled Fearless WRSHP will be available in stores and online platforms from Sunday 13th August 2017. The Agidigba crooner took to his Instagram account to break this news. “HERE IS MY BIG ANNOUNCEMENT I AM GRATEFUL TO GOD AND SO EXCITED TO ANNOUNCE THAT THE FEARLESS WRSHP ALBUM IS READY AND THE SONGS ARE SET. 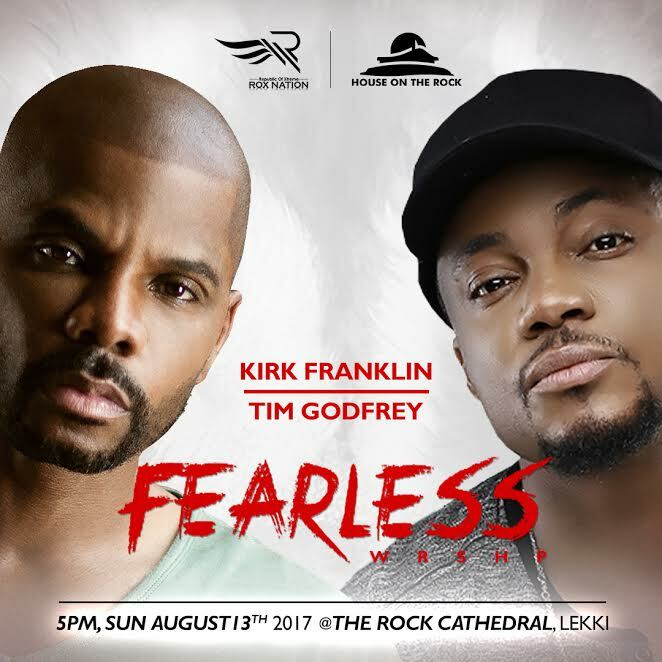 The highly energetic and dynamic minister who is currently set to host 12 time Grammy award gospel singer, songwriter and music producer, Kirk Franklin in a live recording concert on August 13, which shares the same theme with the soon to be released Album, Fearless believes that God has given him a clear mandate which is to set the pace for the new and coming generation of worship leaders and gospel artistes that anything is possible once God has his hands on it. 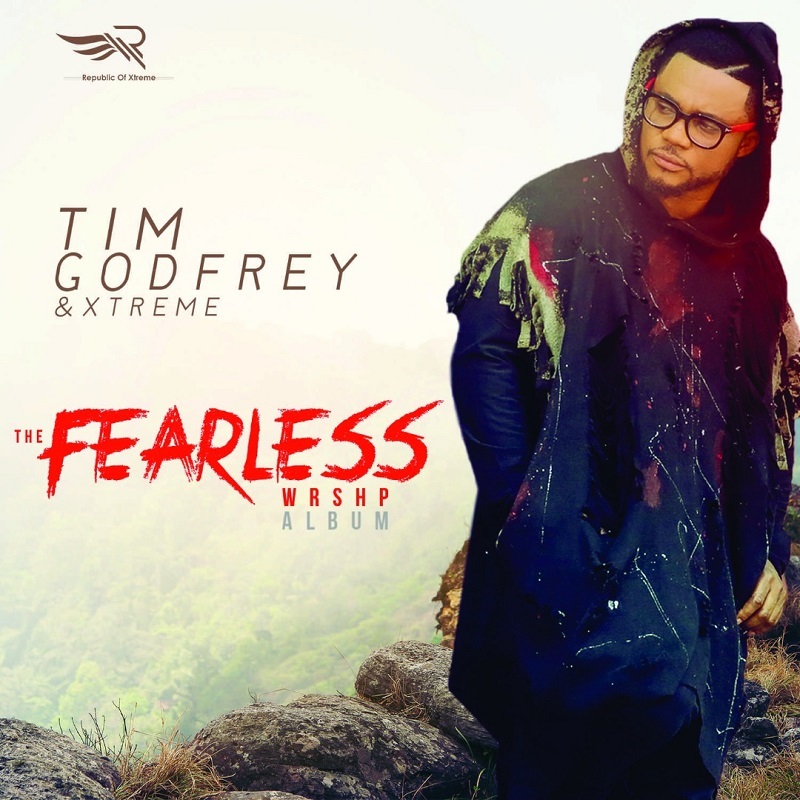 For Tim Godfrey, “Fearless” is more than a mere concert or album, it’s a movement. “Fearless is beyond just a concert, a live recording or an album, it is a movement, it is a charge to march to the gates of the enemies and take back what is rightfully ours through the victory that is already won by the finished work of Jesus Christ. As I always say to my team, we are not fighting for victory; we are fighting from victory, Halleluyah”. The first edition of Fearless held in July of 2016 with over 6,000 worshippers converging to raise a praise to God. The second edition holds on Sunday 13th August 2017 at The Rock Cathedral, House of The Rock Lekki Lagos. Gates open by 2:30pm for the Red Carpets and Concert/Live recording starts at 5pm Prompt. Ministering alongside Tim Godfrey and Kirk Franklin include Frank Edwards, ROX Nation Artiste, Blessyn, Mike and De Glorious, Wilson Joel, NOSA, and Onos Ariyo. The launch of the Fearless WRSHP album will take place during the concert/live Recording on the same day. 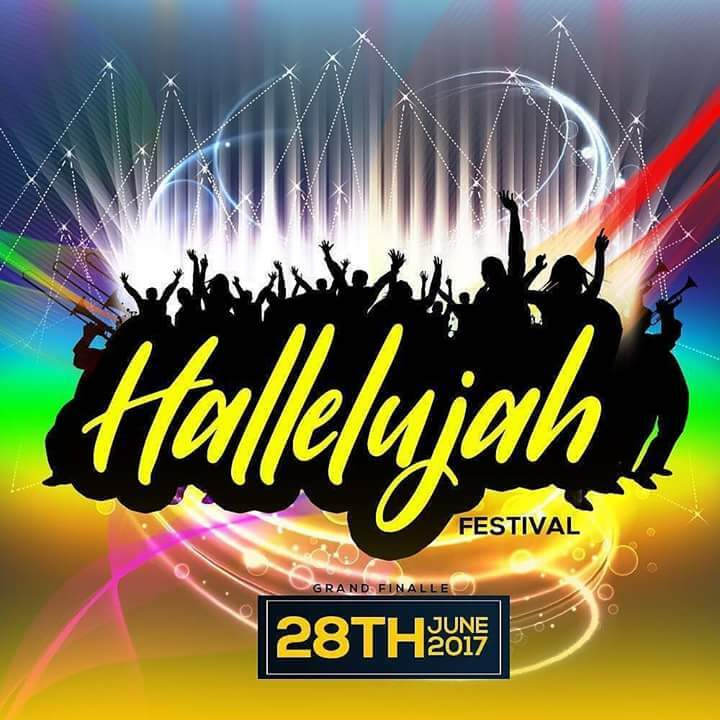 After storming the world with a unique method of praise and worship that could attract thousands of participants through social media, Nathaniel Bassey has finally announced the grand finale date for the Hallelujah Challenge which he tags Hallelujah Featival. The festival will be held on the 28th of June, 2017 at Glitz Event Centre. See details below for proper description of the venue by Nathaniel Bassey. “ARE YOU READY???? Address – Glitz Event Centre. Plot 2, Block 2, Okunde Blue Water Scheme, Off Remi Olowude Street, Lekki 2nd Roundabout (Marwa Busstop), Lekki, Lagos. Detailed Description* – From Lekki/VI Tollgate, get to Lekki 2nd Roundabout (Marwa Busstop), by Pinnacle Petrol Station; turn right off the express road and drive straight down to the end of the Road and follow the road to the right (as it splits into left or right at the end of the road). Look out for The Ark Event Centre (on your right) and Vantage Beach Hotel (on your left). Glitz Event Centre is directly opposite the hotel and right next to The Ark Event Centre. As worship leader extraordinaire and event planner gears towards the release of her new single “I Win” and her upcoming concert on Easter Monday March 28th, she has let us in on what to expect in a recent interview. Also, the event planner and singer has announced that her concert “Miracle Worship Concert” will hold in Port Harcourt on Easter Monday, in March. She said the concert will be an avenue to connect with the divine and receive from Him through worship. She promised to unveil more details about the concert soon. “The upcoming concert is a worship miracle concert. Theme is #whenGodvisits. It’s a time of worship and miracles. Really when God visits, expect a divine intervention in your affairs. We will use music and worship to get the attention of heaven and when we do, it ushers us into a new and higher level of our lives. We are saying… come and lay whatever troubles you have struggled with at the feet of Jesus and simply worship. We have the assurance that God will visit us in an unusual way. Date is 28th of March 2016, time is 5pm and venue is Oasis Center. 12A, Psychiatric Road, Port Harcourt. You can call 08097100692 and 08185602787.” Laureche said. Born into a family of 8 children, she spent most of her early years in Port Harcourt but had to move to Anambra for her tertiary education and later, Benin for her youth corp. Her event company was formally launched in 2004 after working with an oil servicing company for 6 years. The company is the brain behind the successful Easter event “Excuse me Laugh” in its 9th year. 1st of December 2014, Laureche launched her debut album “More than Enough” that has produced singles and videos such as “You Reign”, “Izurukeme” and her forthcoming “I Win”. She has sang on different stages with other Gospel artistes such as Sinach, Eben, Buchi, Frank Edwards, Joe Praise, Chris Shalom and Samsong. At that tender age, he began to sing, play the drum-set and african percussion, act stage drama, and also sketch cartoons. In 2001, his dad enrolled him for a local piano lessons. and Production. During his studies, his audio production skills began to call attention on campus. He recorded several singles, demos, radio presentations, drama, and soundtracks, to mention a few. He was also a member of the University Band as one of the Audio Engineers, he also played the keyboard and the drums at the then Daystar Christian Fellowship on campus where he established his career as an independent artiste/producer. He was usually included on the lists of performing artistes at various programs and events on campus. He graduated in 2011. In 2012 during his Youth Service Corps in Minna, Nigeria, he also put his script-writing and acting skills into practice being a member of RCCG Niger 1, provincial drama group. He has been a music educator, taught in various schools since 2012 till date. He currently lecture Music Studio Production at PEFTI Film Institute, Lagos. 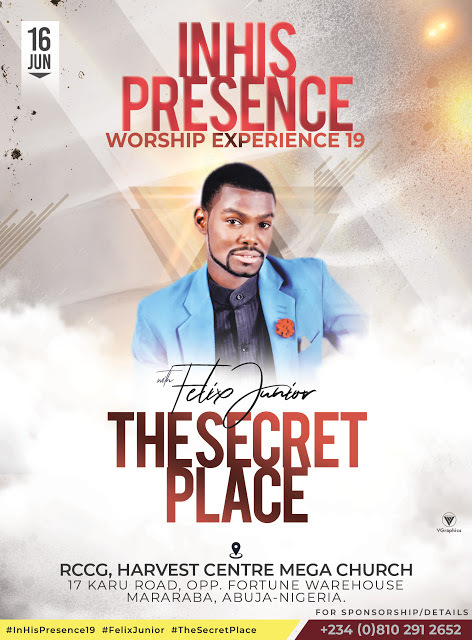 He is also the owner and President of SIX33 Records, an innovative entertainment outfit focused on positive music, film and general Gospel entertainment. Music Producer & Song Writer FLOROCKA somehow found the time between co-hosting a weekly radio show, and preparing for his North-American tour, to release a Brand New Christmas Single to reintroduce his Christmas album. Today, the all-round media personality, announced that the new single, “ELU AGOGO” from the Album called; ANOTHER CHRISTMAS ACCORDING TO FLOROCKA, will be available on all digital music platforms from 6th December. The album, will include very dynamic and creative covers of popular Christmas carols like: “God Rest Ye Merry Gentlemen“, “Hark the Herald”, “Oh Come All Ye Faithful” and quite a number of FLOROCKA original compositions. The Single: “ELU AGOGO” to be released off the album is one that is guaranteed to top your playlist this festive season. And According to FLOROCKA, “This Christmas album is a classic work of art that will forever remain relevant”. FLOROCKA, whose birthday also falls within the festive season, is planning a special birthday surprise for his fans and followers on social media. Following the successful release of his powerful song “Glory” which became a trending topic on Twitter and Facebook in just two hours of its release, which also received airplay, massive downloads and shares from all over the world, prolific music artiste, Awesome Osisindu has announced that he will be releasing an EP titled “My God Is Awesome” to commemorate his birthday. According to him, the EP will be an album of four to five tracks expected to be released on his birthday which is August 25th. Awesome, who released a mixtape in December 2013, is working on his first album and has decided to give us a taste of the album with this EP. The album can be bought from CD Baby, the popular digital music store and also from Spinlet when it’s released online. Kim Burrell’s unrivaled instrument, impeccable musicianship and ability to tap into the human experience and emotion, has made her a favorite across genre and within the musician community. The Grammy-Award nominated and Stellar Award winning singer has collaborated with artists as diverse as Harry Connick Jr. and funk-master George Clinton. In the middle, there’s R. Kelly, Stevie Wonder and Gospel’s First Lady, Shirley Caesar. Her soulful vocal runs have influenced a generation of mainstream recording artists ranging from Jazmine Sullivan to Justin Timberlake. Her burgeoning A-List Hollywood fan club includes Beyoncé, Mariah Carey, Omarion, Jessica Simpson and Chaka Khan. Donnie McClurkin has said “There’s nobody greater” while Whitney Houston once declared Burrell to be “One of the greatest voices of our time.” It is clear why Ms. Burrell is everybody’s favorite mentor on BET’s “Sunday Best.” It is also no wonder why this year’s Essence Festival has chosen to honor the incomparable Pastor Burrell.